Systemic Lupus Erythematosus (lupus) is a chronic autoimmune disease that arises when the body’s defenses go awry. Subtly, often silently, the body attacks its own tissues and organs. Symptoms tend to come and go, occasionally flaring and subsiding. Jason Knight, MD, PhD, an Assistant Professor of Rheumatology at the University of Michigan, is using his funding from the Arthritis National Research Foundation to drive his lupus research and investigate new potential treatments. In lupus, as the compromised immune system battles against self tissues, the body’s disease-fighting defenses unleash a cascade of potentially lethal complications. These complications mean that nearly 1.5 million Americans with lupus are at risk for blood clots, heart disease and organ failure. “Lupus has a startling ability to damage any organ in the body—kidneys, lungs, liver, brain and blood vessels,” says Dr. Knight. In an effort to better understand the underlying causes of lupus, scientists are studying how inflammation sets the stage for chronic autoimmune diseases like lupus. New treatments are desperately needed to prevent life-threatening damage to vital organs. Although survival has improved since the 1950s—when less than half of those diagnosed with the disease lived for 10 years—lupus remains a deadly threat. While no longer a death sentence, lupus still lags behind other autoimmune diseases when it comes to treatment options. In 2011, the FDA approved Benlysta (belimumab), the first new medication for lupus in more than 50 years. Today, thanks to medications and kidney transplants, the odds of dying from kidney disease have decreased sharply. As patients live longer, cardiovascular diseases such as heart attacks, strokes, and blood clots—have emerged as the new leading cause of death from lupus. Researchers are creating targeted therapies to treat, and ultimately prevent, life-threatening cardiovascular complications in lupus. How can Dr. Knight’s lupus research prevent heart attacks? Neutrophils, the most abundant type of disease-fighting white blood cells, attach to the walls of the blood vessels to block assaults on the immune system. Neutrophils extrude their sticky insides into spider web-like structures, perfect for capturing invaders. Although these neutrophil extracellular traps (NETs) help stave off microbial infections, they also serve as excellent ‘scaffolding’ for the assembly of blood clots. 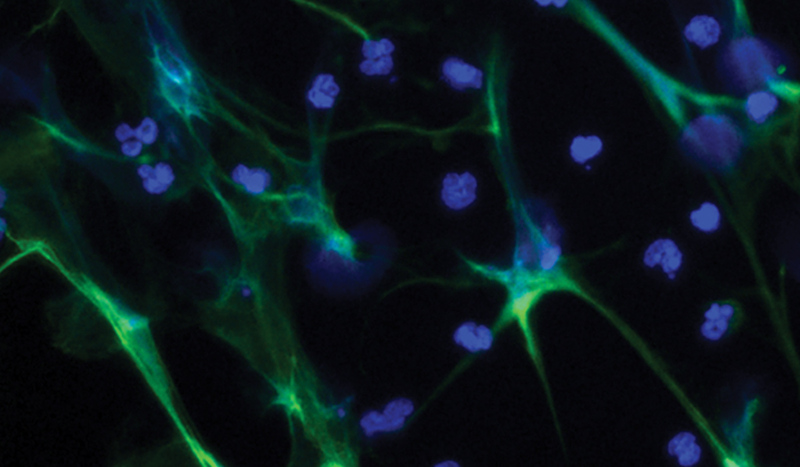 Gene-profiling experiments have revealed that molecules responsible for “adhesion” are highly expressed on the surface of neutrophils from patients with lupus/APS. These molecules function like Velcro, making the neutrophils stickier and more likely to adhere to the blood vessel wall. Does Dr. Knight’s lupus research inspire you? Help support more cutting-edge research by making a donation today! Leave a comment below about Dr. Knight’s lupus research and what you’d like to see next!